What is the treatment for Dilated Cardiomyopathy? What surgeries are used to treat Dilated Cardiomyopathy? 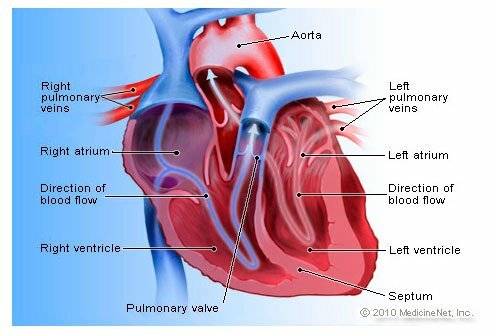 Dilated cardiomyopathy (DCM) is a condition in which the heart's ability to pump blood is decreased because the heart's main pumping chamber, the left ventricle, is enlarged and weakened. In some cases, it prevents the heart from relaxing and filling with blood as it should. Over time, it can affect the other heart chambers. Many people with dilated cardiomyopathy have no symptoms or only minor symptoms, and live a normal life. Other people develop symptoms, which may progress and worsen as heart function worsens. Blood clots can form in the dilated left ventricle as a result of pooling of the blood. If a blood clot breaks off, it can lodge in an artery and disrupt blood flow to the brain, causing stroke. A clot can also block blood flow to the organs in the abdomen or legs. A disorder in which the chambers of the heart are dilated (enlarged) because the heart muscle is weakened and cannot pump effectively. There are many causes, the most common being myocardial ischemia (not enough oxygen supplied to the heart muscle) due to coronary artery disease. DCM is diagnosed based on medical history (your symptoms and family history), physical exam, blood tests, electrocardiogram (ECG or EKG), chest X-ray, echocardiogram, exercise stress test, cardiac catheterization, CT scan, and MRI. If you have a relative with dilated cardiomyopathy, ask your doctor if you should be screened for the condition. Genetic testing may also be available to identify abnormal genes. What Is the Treatment for DCM? Medications: To manage heart failure, most people improve by taking drugs, such as a beta-blocker, ACE inhibitor an ARB, and/or diuretics. If you have an arrhythmia (irregular heart beat), your doctor may give you a medication to control your heart rate or lessen the occurrence of arrhythmias. Blood thinners may be used to prevent blood clots from occurring. Lifestyle changes: If you have heart failure, sodium should be restricted to 2,000-3,000 mg per day -- for the rest of your life. Your doctor may recommend aerobic exercise, but don't do heavy weight lifting. What Surgeries Are Used to Treat DCM? Cardiac resynchronization by biventricular pacemaker. For some people with DCM, stimulating both the right and left ventricles with this pacemaker improves the heart's ability to contract with more force, thereby improving symptoms and increasing the length of time you can exercise. This pacemaker also will help people with heart block or some bradycardias (slow heart rates). Implantable cardioverter defibrillators (ICD). ICDs are suggested for people at risk for life-threatening arrhythmias or sudden cardiac death. The ICD constantly monitors the heart rhythm. When it detects a very fast, abnormal heart rhythm, it ''shocks'' the heart muscle into returning to a normal rhythm. Surgery. Conventional surgeries for coronary artery disease or valvular disease may be recommended. Some people may be eligible for surgical repair of the left ventricle or placement of a cardiac assist device. Cleveland Clinic Heart and Vascular Institute. The Cardiomyopathy Association. American Heart Association. Emedicine. What did the doctor say about the cause of your dilated cardiomyopathy? What were the symptoms of your dilated cardiomyopathy?